Published: Published April 14, 1917 in Pravda No. 32. Lenin Collected Works, Volume 24, pages 118-121. A popular method always used by the bourgeois press in every country with unerring effect is to lie, scream, raise a hullabaloo, and keep on reiterating lies on the off-chance that “something may stick”. “Lenin makes a great noise in the Kshesinskaya mansion,” writes Rech. “Lenin addresses a meeting from the roof of the Modern,” a number of newspapers report. All this is untrue. 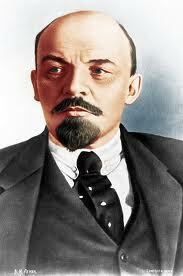 Lenin was not present at the Modern meeting. Lenin made no noise at all; he delivered only one report to a gathering of Bolsheviks and Mensheviks[See: April Theses], and published a number of short articles in the small newspaper Pravda. It is the capitalists and the capitalist press who are making a great noise, who are trying to shout down the truth, to prevent it from being heard, to drown it in a torrent of invective and shouts, to prevent an earnest elucidation of the facts. This is what the efforts of the capitalists add up to at the present moment, as do also the efforts of those so-called socialists who, like Mr. Plekhanov, have completely deserted to the capitalist side. In an editorial of special “national importance”, today’s Rech again fulminates against the “preaching of anarchy”, and while doing so, most strikingly confutes itself. This is clear to anyone who ponders what he has read or heard. We have here a patent lie, a patent partnership of lies contracted by the capitalists, on the one hand, and the Plekhanovs, Cherevanins and Co., who are shouting about anarchy, on the other. In conversational usage as well as in science it is accepted without question that anarchism means the negation of the state in the period of transition from capitalism to socialism. That socialism leads to the “withering away” of the state is one of the tenets of Marxism. The Milyukovs, Plekhanovs, Cherevanins and others, who are partners in lies, know this very well. Do the Pravdists or Lenin deny the need for the state now? Do they deny the need for an “organisation of power”, the “duty of submission” to it? Anybody who knows his politics, anybody except the partnership of liars, is perfectly well aware that they do not. Both Pravda and Lenin have stated and repeated as clear as clear can be that all of us unreservedly recognise the need for the state and for an organisation of power not only for the present, but also for the later historical period when the transition from capitalism to socialism will be taking place. Only the partnership of lies can deny this, or fail to see it. The question is what “organisation of power” we propose to the nation. Not the old organisation of power, not the police, not the bureaucracy, not the standing army, but a new organisation—the Soviets of Workers’, Soldiers’, Peasants’ and other Deputies. Such Soviets already exist; they have been brought forth by the revolution; they are already recognised by everyone, even by the capitalist government, as a semi-government. And we have stated as clear as clear can be that these Soviets are the only possible form of a revolutionary government. Can there be anything less ambiguous? Since it is the “only possible” form, that means we must act only through propaganda, unless someone begins to practise violence upon the masses. “The need for authority and the duty of submission” has been recognised by all the Pravdists, who are preaching it to the people. The Milyukovs, Plekhanovs, Cherevanins and Co. lie in order to conceal the truth from the people; they lie in order to suppress the most important thing of all—the question of the class character of any given organisation of power. The capitalist calls the Soviets anarchy, because such an organisation of power does not commit the people before hand and unconditionally to capitalist subjection, but provides liberty and order together with the possibility of a peaceful and gradual transition to socialism. This and this alone is what rouses the displeasure, tired indignation and resentment of the capitalists. Hence the partnership of lies. Hence the torrent of slander and the howl of rage. Hence, the underhand riot-mongering which Rech resorts to in the above-mentioned editorial when it calls for “counteraction”, for “renunciation of passivity, indifference”, and so on. If you have the majority of the nation behind you, if your alliance with the Soviet is a lasting one (and we frankly admit that at the present moment the majority in the Soviet is not with us), then what do you fear, gentlemen, why do you lie? All we want is to make clear to the workers and to the poor peasants the errors of their tactics. We recognise the Soviets as the only possible authority. We advocate the need for authority and the duty of submitting to it. Why, then, are you afraid? Why do you lie? It is the truth that you fear. You lie in order to prevent this truth from emerging, prevent it by means of riot-mongering, slander, violence, and filth. Even some of our opponents now see this. Read today’s Dyelo Naroda, organ of the Socialist-Revolutionaries, an organ to which Minister Kerensky contributes. Thus write democrats whose democratic conscience has been awakened. They are dead people, the heroes of such methods.